The brand is known for quality products in good price range. This single speed bike is expensive when we look at the price, but quality wise does a good job. 6061 aluminum frame makes the bike weigh 26.1 pounds, but for a single speed, that’s pretty heavy. Anyway, it is not made for daily commute purposes, but does a fine job when roam around the town, or rode just like that. This bike’s segment is for light use only. When folded the dimension of the bike is 13.8 x 35.4 x 27.6 inches. Color choice available are burgundy and blue. This is 20 inch bike, and weighing 26.1 lbs, which means, heavy while comparing to other bikes. 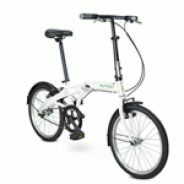 The idea of this bicycle is to provide you a folding bike that has minimal features, but good comfort. 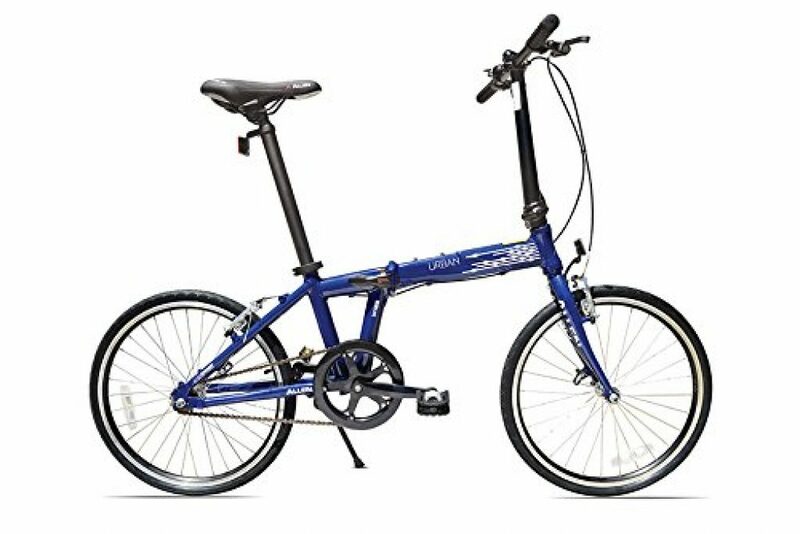 The only thing which is likeable about this bike is the folding mechanism. You can easily fold it, without any efforts, and roll down with you. This unique patented design makes the job easier. The bike is more of a town and outing bike rather than commute. But you can use it for that purpose. Considering the segment, you can view other options also, because it is not for the daily purpose. Folding would take only 20 seconds, but for that, without any real efforts. The folding compresses the bicycle way much than any other in the segment. Also, the rolling type folding is helpful while carrying along walking. Coming to tires, they’re average and traction is good. Winzip brakes are impressive, and stops the bicycle at the right place in right time. If you’re expecting something more from this bike, then you should look for other options. The thing is really durable, with the metal frame, you can easily rely upon it. When you’re riding a rough road, metal frames may shake, but not riding will still be good. With ups and downs, you can feel the vibrations in your body. The patented design is the only key feature in the bike, if you can compromise on that, I think there are good cycles out there. This bike for not so heavy users, the ones who are only going to have fun, no serious expectations and workload on it. 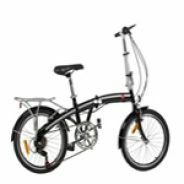 The bike is basic foldable bike that ensures you quality and durability.